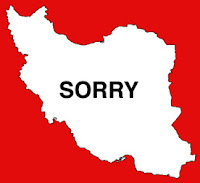 Blessings and thank you dear Iranian friends throughout the world who have expressed outrage and embarrassment for the treatment of the followers of the Bab and Baha'u'llah in their native land. Thank you for the healing justice of your words, and for expressing the spiritual beauty of our humanity! As you watch the progress of the community of Baha'u'llah throughout the world, please be aware that there are Baha'is like myself who have a very different vision for the future of our Faith. We do not believe, as the Baha'is loyal to the Universal House of Justice in Haifa, Israel, that Shoghi Effendi was the last Guardian of the Baha'i Faith. Indeed, it is impossible for Baha'u'llah's emerging world order to be balanced or to be just without the institution of the living Guardians. Although the leadership of the majority group of Baha'is (loyal to the Universal House of Justice) is perceived by the world to be the legitimate heirs to Baha'u'llah, they are not. I am a friend and supporter of Jacques Agop Soghomonian, the IV Guardian of the Baha'i Faith, who lives in Marseille, France. He is one of the original members of the National Spiritual Assembly of France, the only national administrative body in the world at that time that affirmed that Charles Mason Remey, an American, and Hand of the Cause of God, was our first Guardian Shoghi Effendi Rabbani's true successor, after the death of Shoghi Effendi. The leadership group that represents the majority of the Baha'is in the world, are the heirs to a group of Shoghi Effendi's ministers (Hands of the Cause) who erroneously declared that the Guardianship had come to an end. They rejected Shoghi Effendi's successor, Charles Mason Remey, and declared Remey a usurper and a violator of the Covenant of Baha'u'llah. Later, a believer named Joel Bray Marangella, one of the supporters of the second Guardian, created his own story and split away from our second Guardian while our Guardian was still living, declaring himself a Guardian! He, Marangella, is now the leader of the Orthodox Baha'is. Since 1960, the Faith of Baha'u'llah has suffered from schism. One group doesn't communicate with the other, and still other individuals who are bizarre claimants to the Guardianship confuse people who wish to understand what is going on with our Faith, since it teaches the importance of "independent investigation of truth," and "the unity of mankind?!" I solemnly affirm that Jacques Agop Soghomonian is the living and fourth Guardian of the Faith of Baha'u'llah.